You don’t have to worry about a thing – we take care of the job for you! Our policy is: Think, Plan, Examine, Secure. Transport Eklöf Oy is a full service trailer hauling company, established in 1991. Our transportation services are carried out by using 50 of our own trucks and about 50 supplied by our subcontractors. The services of Transport Eklöf Oy represent a unique mixture of decades of practical experience and modern computer technology. 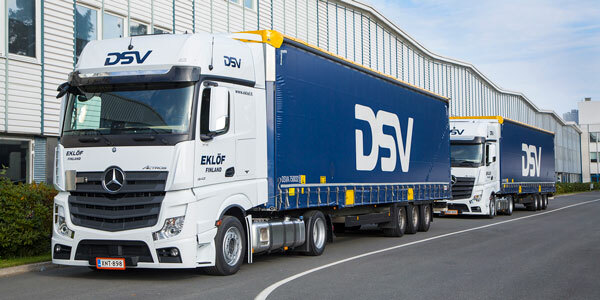 In addition to trailer hauling, Transport Eklöf Oy also offers its customers transport management services – the most effective way for a forwarding agency to outsource the organization of trailer haulings. Our transport management services give customers the freedom to use their current subcontractors, who are trained by Transport Eklöf to co-operate with their service centre.